Deadline to submit an application is Friday, May 3, 2019 at 5:00 p.m. The City of Big Bear Lake would like to take this opportunity to notify the local non-profits that we will begin accepting applications for the Fiscal Year 2019-2020 Community Events Grant Program. The deadline to submit grant applications will be Monday, April 1, 2019. We encourage all applicants to thoroughly read and adhere to the City’s policy and the directions provided on the application. Please note that organizations must complete and submit an application and required supporting documentation whether they are requesting a cash grant and/or in-kind services. The City’s resources are limited and need to be scheduled in advance; therefore, only the in-kind services that are indicated in detail on the application, if approved by City Council, will be provided for your event. FROM HWY 330/18 (East bound): Traffic crosses the dam and uses Big Bear Blvd. Right hand lane to make a right hand turn onto Summit Blvd. and parks in the Main Base Lot or if it is full then traffic makes a Left onto Brownie Ln. if the Brownie Ln. Lot is being parked. Both lanes of Brownie from Moonridge Rd. to China Garden are used for West Bound Traffic, No East Bound traffic will be permitted during thePeak/Max. Sheriff’s Traffic Circulation Plan. FROM HWY 18 Lucerne (West Bound): Traffic uses Stanfield Cutoff, makes a Right onto Big Bear Blvd., Left turn onto Summit Blvd. and parks in the Main Base Lot or if it is full then traffic makes a Left onto Brownie Ln. if the Brownie Ln. Lot is being parked. FROM HWY 38 (West Bound): Traffic uses Big Bear Blvd., Left turn onto Summit Blvd. and parks in the Main Base Lot or if it is full then traffic makes a Left onto Brownie Ln. if the Brownie Ln. Lot is being parked. FROM HWY 330/18 (East bound): Traffic makes a Left turn at the dam and uses North Shore. Traffic makes a Right onto Stanfield Cutoff, makes a Right onto Big Bear Blvd. and continues to the traffic signal at Moonridge Rd., traffic makes a left at the signal and proceeds up Moonridge Rd. to be parked at the Main Base Lot unless it has been filled, then traffic will be directed to whichever lot is currently being filled. FROM HWY 18 Lucerne (West Bound): Traffic uses Stanfield Cutoff, makes a Right onto Big Bear Blvd. and continues to the traffic signal at Moonridge Rd., traffic makes a left at the signal and proceeds up Moonridge Rd. to be parked at the Main Base Lot unless it has been filled, then traffic will be directed to whichever lot is currently being filled. FROM HWY 38 (West Bound): Traffic uses Big Bear Blvd. and continues to the traffic signal at Moonridge Rd., traffic makes a left at the signal and proceeds up Moonridge Rd. to be parked at the Main Base Lot unless it has been filled, then traffic will be directed to whichever lot is currently being filled. FROM HWY 330/18 (East bound): Traffic crosses the dam and uses Big Bear Blvd. Traffic for PAID PARKING makes a right at Summit Blvd. NON PAID PARKING continues to Moonridge Rd and makes a right at the signal and a right onto Brownie Ln and enters the Brownie Lane Lot. When Brownie Lane Lot fills traffic will be directed up Moonridge Rd and parked in the Moonridge Lot. When the Moonridge Lot fills traffic will be directed to Fox Farm Dr and parked in the Fox Farm Lot. FROM HWY 18 Lucerne (West Bound): Traffic uses Stanfield Cutoff, makes a Right onto Big Bear Blvd., NON PAID PARKING makes a left at Moonridge Rd and a right onto Brownie Ln and enters the Brownie Lane Lot. When Brownie Lane Lot fills traffic will be directed up Moonridge Rd and parked in the Moonridge Lot. When the Moonridge Lot fills traffic will be directed to Fox Farm Dr and parked in the Fox Farm Lot. Traffic for PAID PARKING makes a left at Summit Blvd. and will continue up Summit Blvd and park in the Main Base Lot Space permitting. FROM HWY 38 (West Bound): Traffic uses Stanfield Cutoff, makes a Right onto Big Bear Blvd., NON PAID PARKING makes a left at Moonridge Rd and a right onto Brownie Ln and enters the Brownie Lane Lot. When Brownie Lane Lot fills traffic will be directed up Moonridge Rd and parked in the Moonridge Lot. When the Moonridge Lot fills traffic will be directed to Fox Farm Dr and parked in the Fox Farm Lot. Traffic for PAID PARKING makes a left at Summit Blvd. and will continue up Summit Blvd and park in the Main Base Lot Space permitting. FROM HWY 330/18 (East bound): Traffic makes a Left turn at the dam and uses North Shore. Traffic makes a Right onto Stanfield Cutoff, makes a Right onto Big Bear Blvd. and continues to the traffic signal at Moonridge Rd. All traffic (paid and non paid) makes a Left hand turn onto Moonridge Rd. 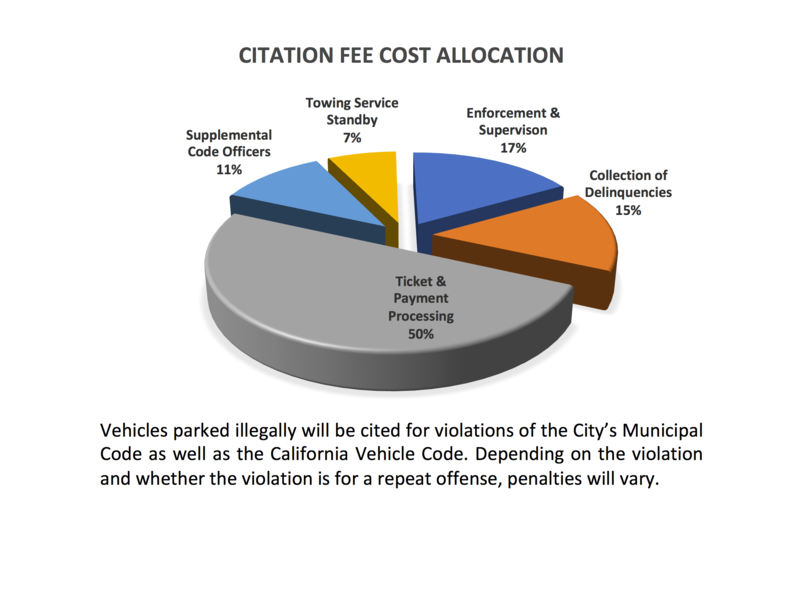 Paid parking goes up Moonridge Rd. to be parked at the Main Base Lot. Non Paid parking will be directed to whichever lot is currently being filled. FROM HWY 18 Lucerne (West Bound): Traffic uses Stanfield Cutoff, makes a Right onto Big Bear Blvd. and continues to the traffic signal at Moonridge Rd. All traffic (paid and non paid) makes a Left hand turn onto Moonridge Rd. Paid parking goes up Moonridge Rd. to be parked at the Main Base Lot. Non Paid parking will be directed to whichever lot is currently being filled. Once the Main lot is filled, the Golf Club House lot is then parked. Lower Club View is used at a relief valve. Guests usually self-park this area. 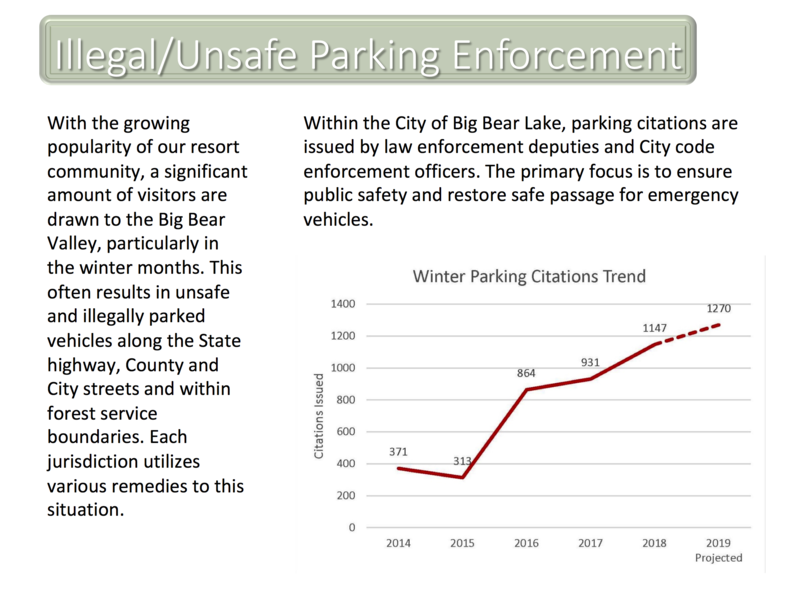 On days designated NON PEAK PARKING and when Golf Club House is approximately 70% at capacity, traffic control personnel are put on stand-by and are in the position to begin parking the lower areas beginning with the Moonridge lot. This should be more than enough capacity for a NON PEAK PARKING day, most NON PEAK days do not require remote lots and shuttling operations. This procedure will minimize the impact to the businesses and residents located in the Moonridge Corridor. Once the Main Base Lot is filled Summit Blvd (Side of the street parking) is used as a relief valve prior to the parking control getting in position to accept guests at Brownie Lane Lot. Once Summit Blvd. is 70% filled parking control is dispatched and ready to receive cars at Brownie Lane Lot and they begin parking Brownie Lane when Summit Blvd. has reached capacity. ADA, Drop offs and Select parking is allowed to continue up Summit Blvd. and Radio communication is used to notify parking staff at the Main Base Lot to receive these specific guests. The Main Base lots are normally Paid Parking on PEAK/MAXIMUM DAYS so they are open and parking sellers are available as early as 6:30 am. Free parking is started as early as 6:30 am and guests are directed to Summit Blvd. at Summit or Cedar Club Lot at Bear Mtn. Shuttles start running as soon as the first cars are parked in these lots some as early as 7am. After these 2 lots are filled any guests who do not want to pay for parking are SIMULTANEOUSLY parked in lower or remote lots (IE Brownie Lane Lot and Moonridge Lot) with shuttle operations starting as soon as guests arrive in the morning (as early as 7 am) Traffic control is placed in the Main Base Lots and the first remote lots to be parked as early as 7am. When the Main Base Lots and Golf Clubhouse Lot reach capacity, ALL guests are directed to remote lots that are currently being parked, with some guests being parked in the Brownie Lane Lot and some guests being directed to the Moonridge Lot. When the Brownie Lane Lot is at capacity ALL guests are directed to park in the Moonridge Lot. When the Moonridge Lot reaches approximately 80% capacity guests are directed to Fox Farm Rd.and Big Bear Blvd. instead of turning on Moonridge Rd. This “flipping of the switch” and changing of the CMS signage along the Blvd. directs guests to the Fox Farm Lot. There are normally enough cars queued on Moonridge Rd. and Rathbun Ct. to fill the remainder of the Moonridge Lot without having to redirect guests from the Moonridge Lot to the Fox Farm lot. The parking control staff toggles between the remote lots as they fill to make sure there are always adequate parking control staff when a lot begins to be parked. It should also be noted that lots NOT being parked are gated to prevent guests and non BBMR resort guests from self parking. GOLDMINE DR. AND MAIN LOT ENTRANCE – The traffic controller positioned at this intersection directs traffic into either the Main Base Lot or the Club House lot. Controllers are also positioned at the west and east gates of the Main Lot in order to direct guests to the main lot for ADA parking and Drop Off and Pick Up. GOLF CLUB HOUSE- The traffic controller at the south entrance to this lot directs guests into the lot from Goldmine Dr. Parking controllers in various locations in this lot that direct the guests into the area that is being filled. MOONRIDGE LOT –Traffic controllers are positioned at the “Y” intersection of Club View St. and Moonridge Rd. As the Golf Club House lot reaches full capacity, or traffic backs up on Moonridge Rd., traffic signs are turned so that they are visible to oncoming traffic (refer to section on signs). The traffic controller then directs guest traffic to turn left on Rathbun Ct., allowing residents and drop off traffic to continue through on Moonridge Rd to Club View Dr. Guest traffic enters Moonridge lot on Rathbun Ct. Parking attendants are positioned inside the lot to direct traffic to the area of the lot that is currently being filled. After parking, guests travel to the ski resort by complimentary shuttles (refer to section E shuttles). SUMMIT BLVD. AND BROWNIE LANE- The traffic controller positioned at this intersection on peak times, holidays, and most weekends. The controller directs guests headed to the resort based on Paid Parking, ADA Parking or Drop Off and Pick Up. SUMMIT BLVD. AND MAIN LOT ENTRANCE – The traffic controller positioned at this intersection directs guests into the Main Lot to park or drop-off. Controllers are also positioned at the west and east gates of the Main Lot in order to direct guests to the main lot. Parking controllers are positioned in the lot to guide guests to park. BROWNIE LN. – The traffic controller positioned here guides guest coming from Moonridge Rd. into Brownie Lane Lot. The controller also assists the entry/exit of the complimentary shuttles to transport guests to and from the resort. Parking controllers are positioned in the lot to guide guests to open parking spots. MOONRIDGE RD. – As parking in the BROWNIE LN. lot nears capacity, or traffic backs up on Brownie Ln the traffic controller then directs guest traffic to proceed up Moonridge Rd., where they are directed into the Moonridge Lot. FOX FARM RD. – When Moonridge Lot is 80% full, parking attendants take up position in the Fox Farm lot and prepare to accept cars. The traffic controller at Fox Farm Rd. Traffic flows down Fox Farm Rd. and guests enter from the East entrance and are directed by traffic controllers where to park.